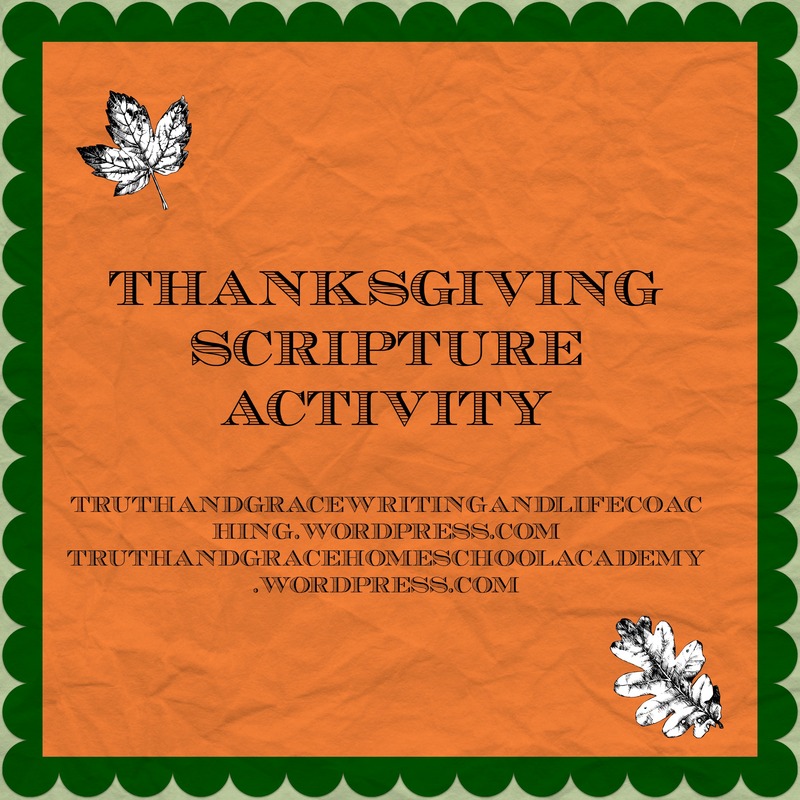 Today is day 13 of our family’s Thanksgiving Scriptures Activity. Our verse for today is found in 1 Chronicles. Here is the Scripture Graphic. Well life has been rather crazy around here, so yesterday I missed posting. Here is the Scripture verse we did yesterday. 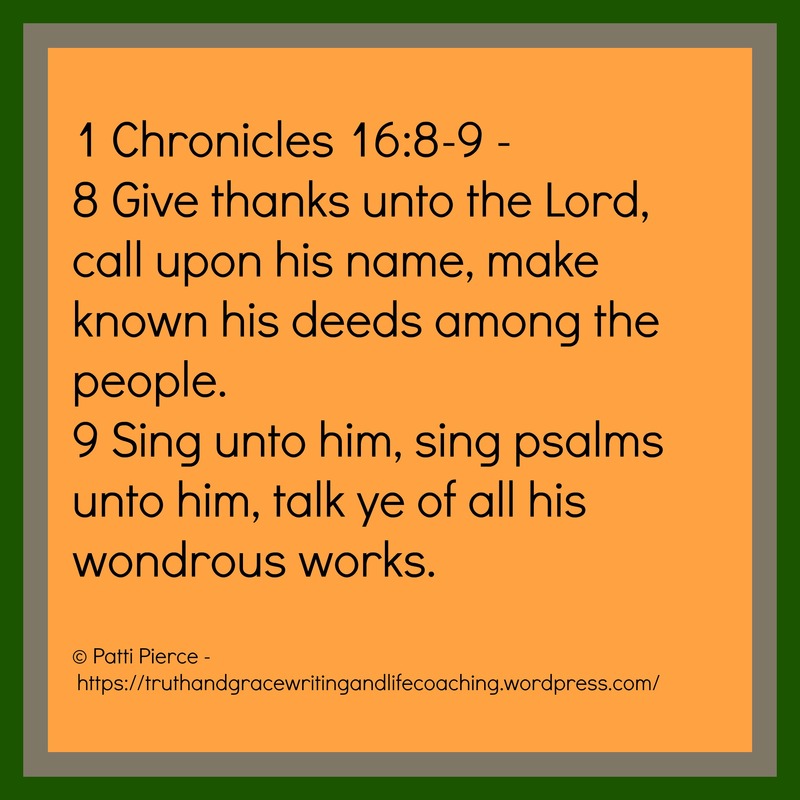 Then for today, we are reading 1 Chronicles 16:8-14 and copying verses 8-9. Here is the Scripture Graphic for it. I pray your day has been blessed. What are you thankful for today?